This is a great movie, true story. It was hard to produce against intense liberal pressure. Playing now at the Rialto Theater. Gosnell: The Trial of America’s Biggest Serial Killer is the true crime story of how the government covered up the crimes of abortion doctor Kermit Gosnell for almost two decades. 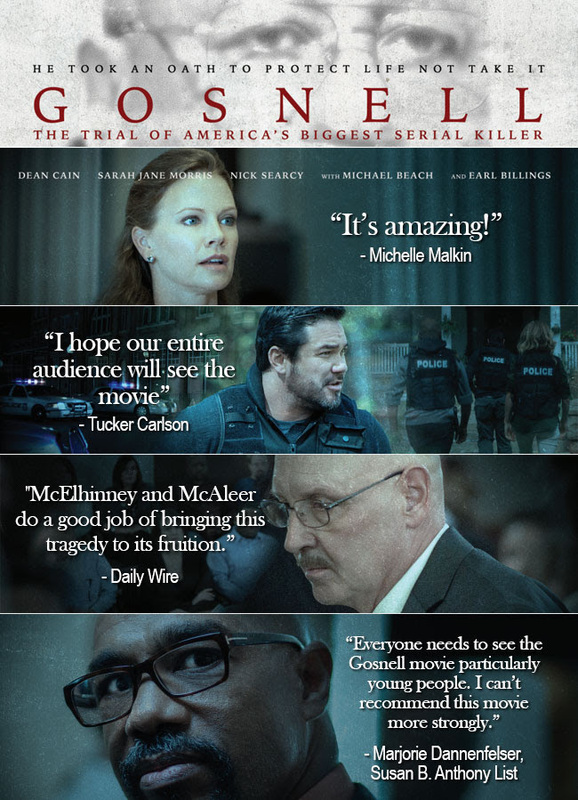 It’s the story the media didn’t want to tell and the Gosnell is the movie Hollywood does not want you to see. Some may be concerned it will be scary or graphic. It’s not. The filmmakers went to great lengths to make sure it was accurate but not graphic. If you can watch an episode of Law & Order, NCIS or Blue Bloods you can and must see Gosnell. Preview audiences around the country have given the movie 5 stars and two thumbs up. The film opens on Friday, October 12th in theaters nationwide.